The last few days have been busy in the life of Helen. I have worried, not slept and stayed up late just so I could plan a "Extreme Couponing" shop. Today was the day that 3 month's hard work had added up to. This morning I had butterflies in my stomach however tonight I am sat here feeling proud, proud that I managed to pull my couponing shop off and proud of the fact that I have managed to get over £100 worth of shopping totally free for my family. My dream started in January when I suddenly had the urge to do a huge coupon shop that would feed my family and help us save money. 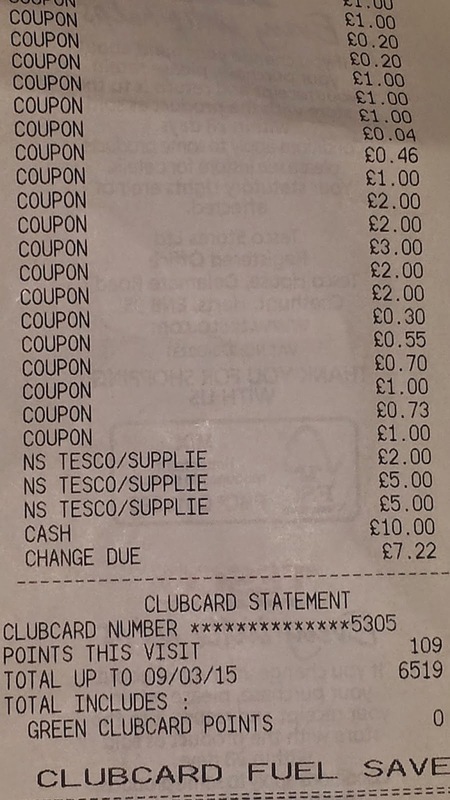 I had used all my coupons up at Christmas where I had managed to get a £80 shop for just £13. I felt it was the time to come back bigger and better so I set about trying to gather coupons up. Over the past 3 months I have emailed companies sending them praise, I have put effort in to make companies smile and I have even allowed Maxwell to get creative. 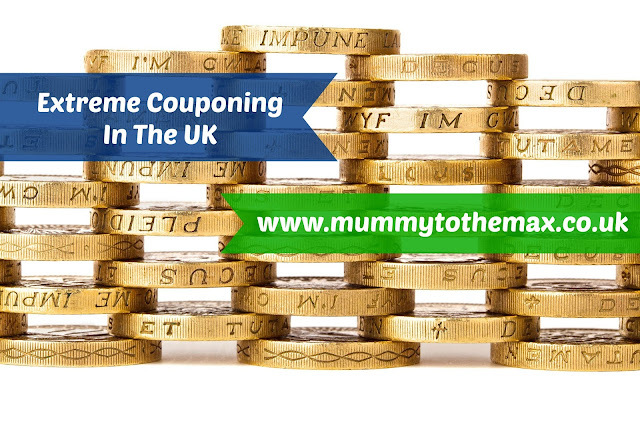 I have searched the internet for coupons and I have entered competitions to win coupons. I have also contacted companies when I feel a product is not up to a certain standard and complained about why and how I did not feel it was up to a certain standard, however all these complaints have been genuine and have also included praise when contacting the company. Last week I sat counting my coupons and I found that I had reached the £100 mark value. I was extremely impressed and thought it was time to go and do a coupon shop however last week I felt there were not enough deals on at Tesco that would make full use of the coupons which I had kept so I decided that I would hold out. 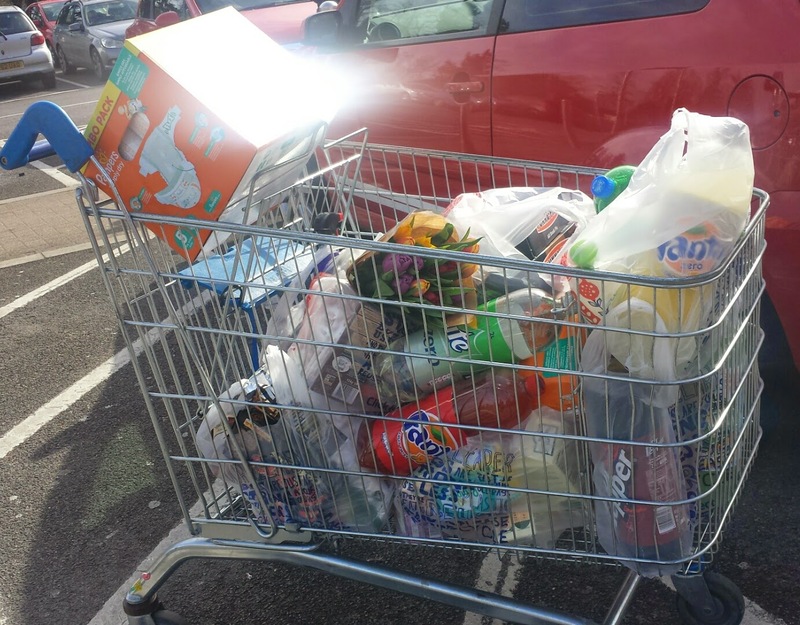 This week after looking at Tesco online, I found that the deals had changed over and I would be able to get more for the value of my coupons so I started planning the big shop. I first went on to the Tesco grocery website and sat for 4 hours planning the big shop. 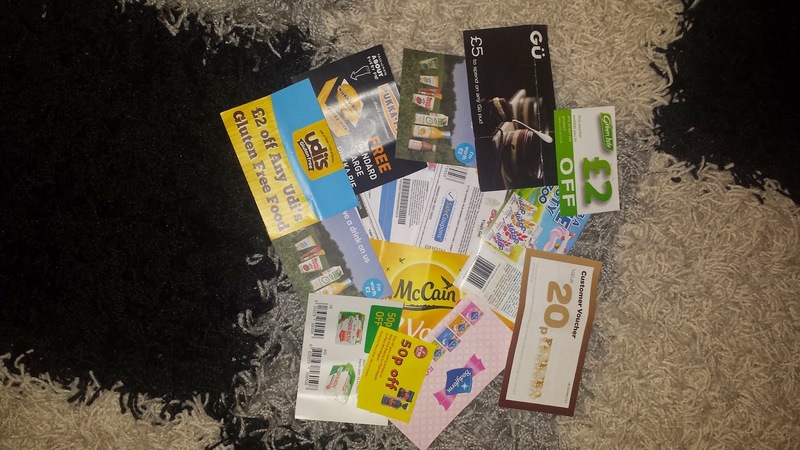 I gathered all my coupons and set them out to see what products I could buy with them and was there anything in the terms and conditions that would stop me using any of the coupons together. I worked out the best deals and added them to my online grocery account. I selected click and collect delivery and this enabled me to see if the item was in stock at the store. I also searched my emails and found a 55p Tesco price promise. I once again searched a few websites and printed further coupons and went to bed at around 12am. 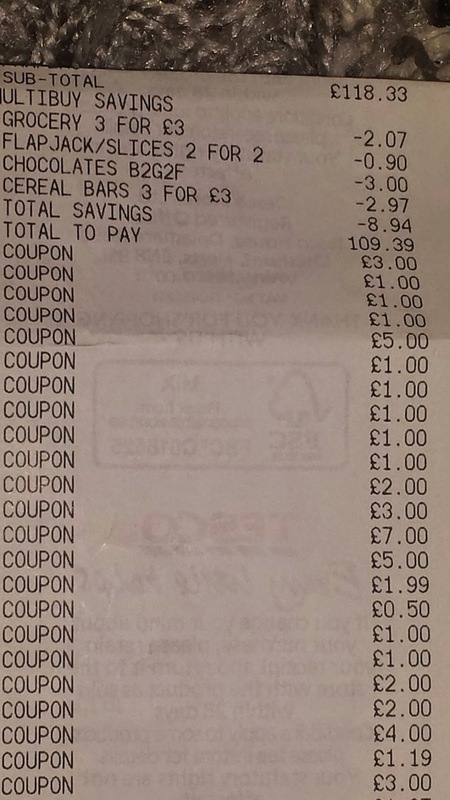 This morning I got up, took Maxwell to preschool and hit Tesco to do my "Extreme couponing shop". I took a print out of the items I had selected online with me so I was able to match the items up in store and put them in the basket. This saved me time in the store as I did not have to sit and work out how I could get the best items for the value of my coupons. Once at Tesco we did find that a few items were out of stock however this did not affect my shop at all. We were in the shop for around a hour and we stuck to our printed list. Nothing else went in our basket and we were very strict with ourselves. We were not tempted by any other offers and when items were out of stock we kept hold of our coupons in case the items became available again. Normally I dread the checkout stage. A few weeks ago I had a awful experience at the checkout which involved coupons and a checkout operator rifling through my bags but today the checkout lady could not have been any more helpful than what she was. She simply scanned all our products through and slowly but surely scanned all the coupons through. The shop started off at £118.33 however after coupons I paid just £2.78. I would have paid £0 however I forgot a £3 Tesco gift card which was in another purse. I was ecstatic and could not believe I had done so well. Although there was no fruit, veg and there was very little meat in my shop, I had a £10 Morrisons voucher and £8 Co op vouchers to buy these products which meant in total I managed to buy a whole week's shop. 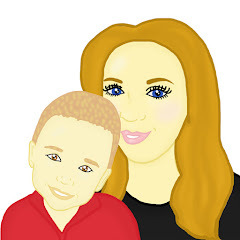 I bought items for lunchboxes, meals for 3 of us, cleaning products, nappies and wipes, flowers as a treat to myself, a large amount of Easter eggs and I even managed to pick up items which we can take on holiday. From shopping at Tesco I managed to gain 109 Clubcard points which means I have the option to double these points up near Christmas time or I could use them towards a meal out which means they are worth around £4. I also managed to get 4p off every litre of fuel in April which is great for us as this also saves us money. I am looking forward to doing further coupon shops. What would you like to learn about coupons? Please drop me a comment below and I will write further post's with additional information. Contents and images are mine, please ask permission to use any of the above information. Superwoman!! So glad you achieved this and I bet the pleasure of eating and using all the free food and products will last a good while. wow that's amazing, well done. I love couponing, just wish we could extreme coupon like they do in America. I'd live to di that!!! Well done you!. I tried something similar a few months ago in our local Tesco Extra store and the checkout girl called a supervisor over who refused to take any more of the coupons even though I had purchased the items. She told me that the limit was 20 coupons of any sort at any one time..Even a complaint to the store manager fell on deaf ears.. I'm just about to move into my first home with my fiancé and financially we'll be tight. I'm worried about food of course. Brilliant . My husband does a lot of shopping online and uses the coupons and often we don't have to pay much for our shopping. He is not as good as you though. This is how I live - we eat really well for little money! This is so interesting, I'm always fascinated by the extreme couponers that you see on TV from USA but haven't seen people managing the same here. This is great! I'm genuinely impressed! I have all intentions of using the coupons I save, but the date runs out before I do. it certainly took a lot of forward planning to do your shop, but was definately worth while. Hope you took a note of the checkout lady's name ready for next time. Wow Wow Wow, going to give this a try again. I tried it a few years ago but was told by my local Asda that I could only pay for 10% of my bill with coupons. Better luck this time! I didn't realise you could do this I AM AMAZED! good on you I do use coupons and discounts when I can but this is amazing from now on I shall keep my eyes peeled. well done; that's brilliant. It sounds like you worked really hard to pull it off! This is amazing! I've tried to keep an eye out for coupons but I've never managed to do anything on such a large scale. Well done! Wow, this is incredible! I need to get on this asap! wow, that is very impressive indeed! Absolutely inspirational, must give this a try! Great work!